Instagiffer is a Portable and Free Animated Gif Creator. 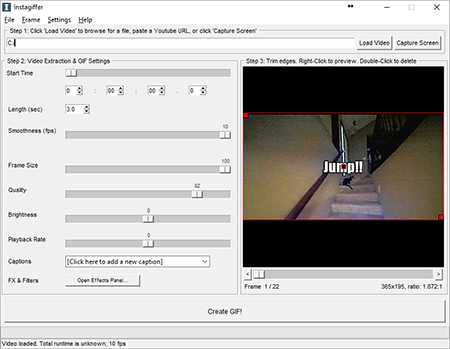 It can be used to create your own personalized animated gifs with captions from various video formats, game streams, and image formats. The program supports importing video from Youtube and other video URLs, or from locally stored files.